When your in Bangkok then you must experience and feast your eyes upon at least one of the red light districts before departing the Land of Smiles. Soi Cowboy, Nana Plaza, or Patpong, these streets are some of the most vibrant, seedy, yet interesting stretches of roads and areas in all of Thailand. The neon-soaked energy could be intimidating for some, but the bars, around 40 of them, seemed friendly as we walked on by. The atmosphere was certainly electric with entertainment, scantily dressed dancing girls, drinks and music all in one short street. You will not see anything like this anywhere else in the world! 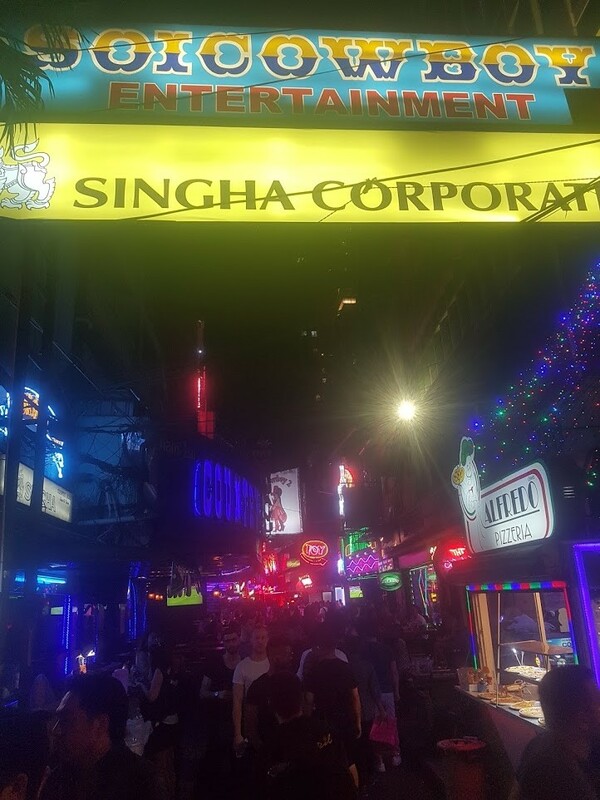 Soi Cowboy is a place for those with either high or low morals and for the curious! But for any traveler/explorer, it is a place that just has to be experienced. The area was named after a cowboy hat-wearing African-American who opened the first bar back in the 1970s. There are currently around 40 bars and gogo bars, including one ladyboy bar. It is a short street, approximately 200 metres long and is closed to traffic at night. Be warned, that prostitution has been illegal in Thailand since 1960. Soi Cowboy is located between Sukhumvit Soi 23 and Asoke Road. Ask any tuk tuk driver or taxi driver and they will take you there. Alternatively you can take the Skytrain (BTS) and get off at Asok Station or the Bangkok Subway System (MRT) and get off at the Sukhumvit Station. Both are just a few minutes walk to Soi Cowboy. Have you experienced Soi Cowboy? What did you think?